In the traditional Christmas dinner, roast turkey is an indispensable dish. 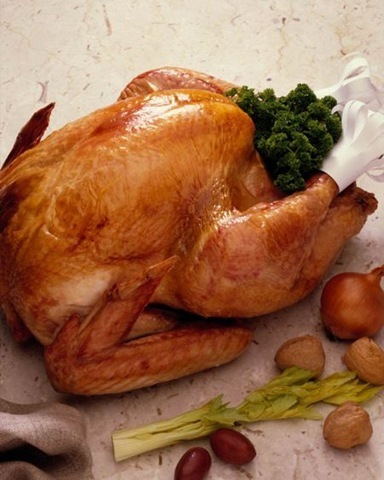 Especially in America, the turkey is a very ordinary meat, and in both Thanksgiving and Christmas day, the turkey is the traditional food. Turkey is the American specialty, before the Europeans to the Americas, it has been domesticated by Indians. In English it is called "Turkey." Because the Europeans think that it looked like the Turkish clothing.Europeans like to eat roast goose. After immigration to America, there were requirements for eating goose , then eat turkey, and even find delicious than goose. And there were a lot of turkeys in North America. So it become an important food in major festivals . This custom has been three hundred years of history. It is said that Christmas in 1620, large numbers of immigrants arrived from the United Kingdom in the American continent, Plymouth Mountain Park. At the time, where property-poor, only the turkey all over the mountain, so they will catch the turkey, as the festival’s main course. So Christmas dinner, in addition to ham, sweet potatoes, vegetables, plum pudding, fruit cake, cocktails , of course, turkey is essential! Christmas is coming ,I want to say:Merry Christmas,everybody!